Funny little timekiller. You should consider porting it to mobile devices. 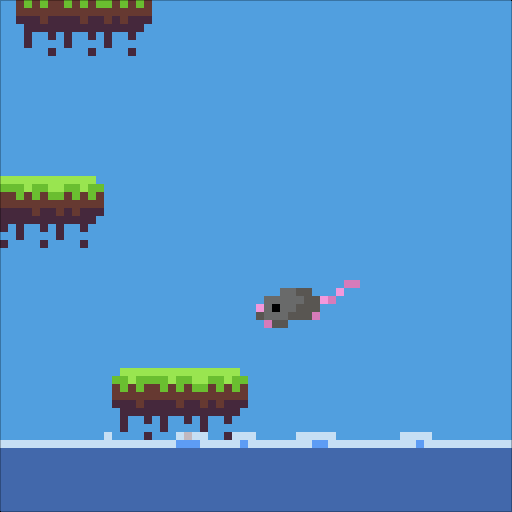 Anyone else feel horrible every time you lose bc the cute little mouse dies? =( Seriously though, love the pixel art. Nice job! 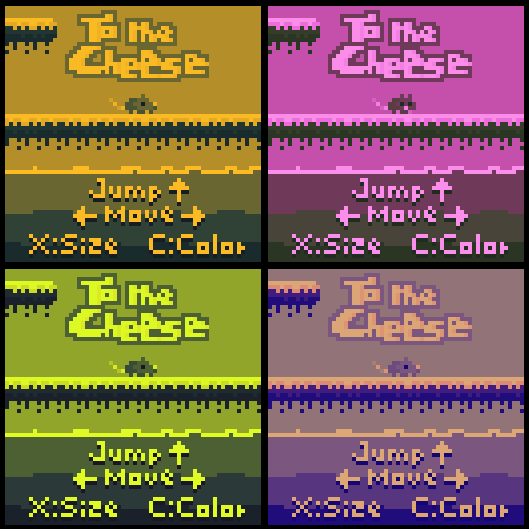 The fact that the mouse will reach the cheese on day fills me with determination. It's a really fun game, fast paced, the graphics are good, the music and sounds are good too. It's difficult, but very addictive. Really needs scoring (or time challenge) and infinite mode. It's a really challenging, intense, fun game! Thank you all for the feedback! 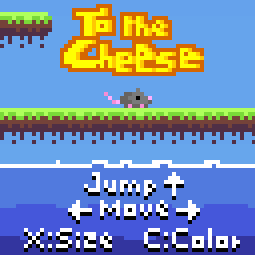 For the gameplay I really wanted it to be challenging, I think it'ss nicely balanced and once you get the feel is just a walk to the cheese moon, it's not that far! I'll add endless option, and score display is already written but I'm not updating it till the end of the jam, just because fair play. Nice game, the graphics quality looks attractive, the only thing missing is Endless Mode, otherwise the game is awesome. So many colors! So much arcade-y action! Missing a horizontal-wrap feels off, but it's also fun. Nice job. Fun to play. The difficulty ramps up really fast when the water starts going faster. so addictively punishing! well done, superb music! It's cute but very challenging! I got to the eagle after many tries, now I'm giving up (for the moment anyway), lol. The colour pallette switch was very cool! I think the water comes a little too quickly. That was more challenging than I expected from this kind of game. I like the color themes. Fun! Very tight controls that require good amounts of skill to use effectively, but are still very simple. Really enjoyable! I also like how well it's balanced, I never really felt cheated, I always felt pressured by the water and the difficulty was just right. A very hard thing to achieve but this game nails it. I'd liked to have seen a bit more of 'bonkers' aesthetic. A mouse going for cheese gets the point across and is universal, but my personal taste is more outlandish, different stuff. Still, what is in there is refined and gels together super well.